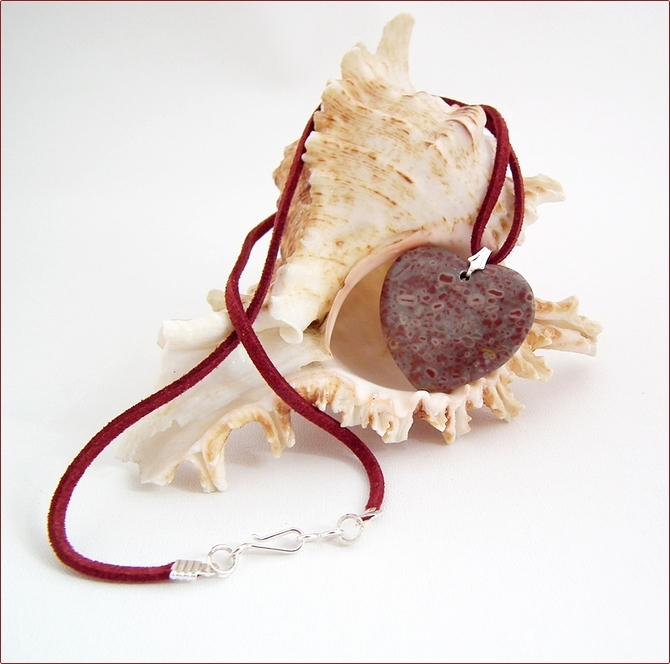 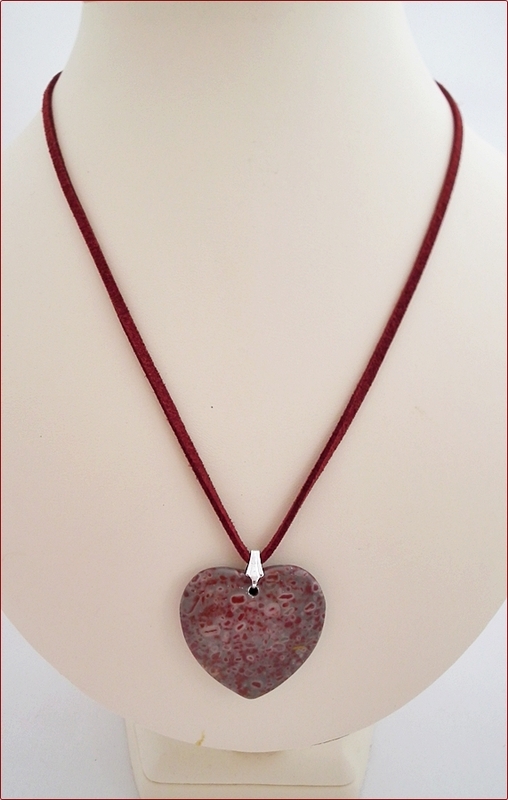 This is a sweet piece of polished poppy jasper, cut into a heart shape, suspended from a faux suede cord in a matching dark red colour. 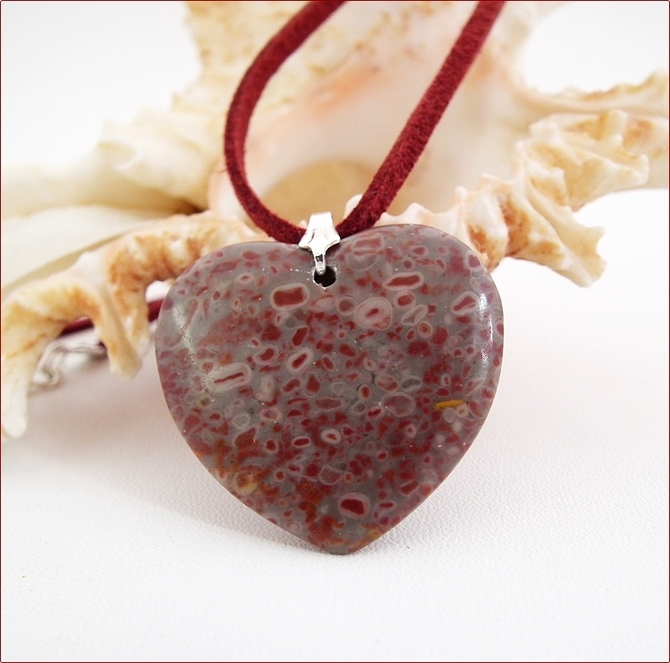 The stone measures around 3.5cm x 3cm and hangs on a sterling silver bail. 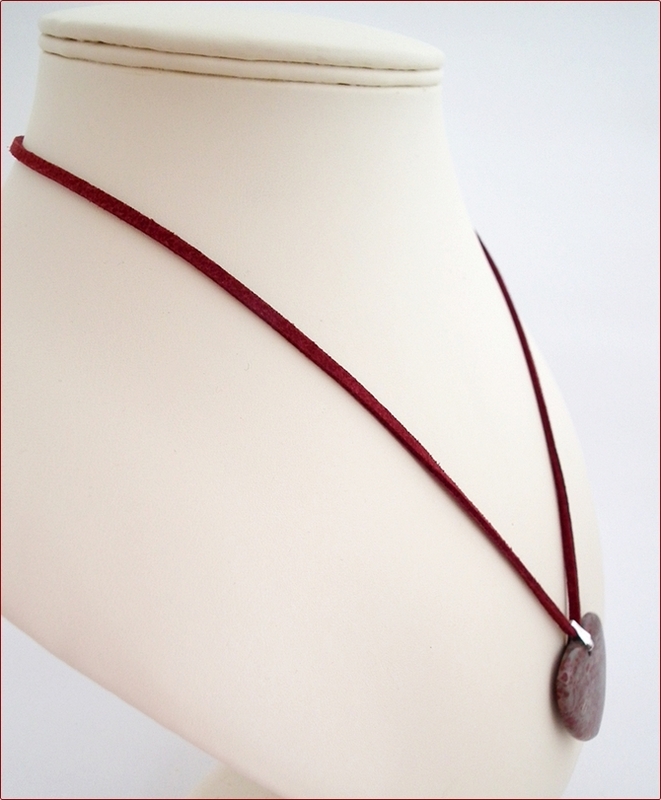 The necklace is 19" (485mm) long, fastening with a simple sterling silver hook and eye clasp. 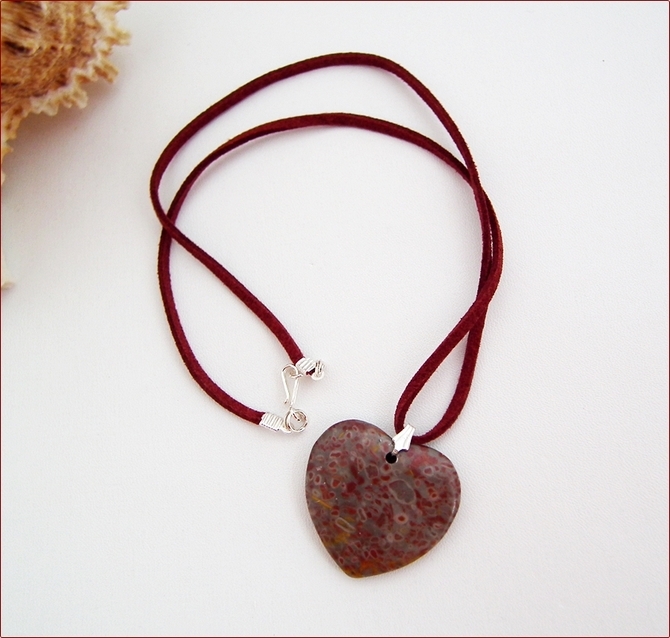 You are going to have something in your wardrobe that this will go with perfectly, I'm sure!